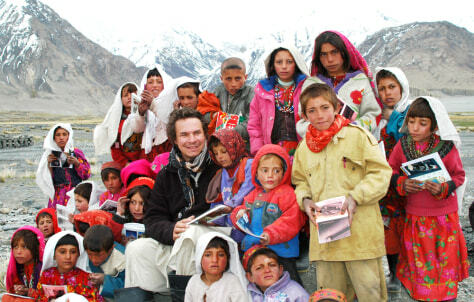 Greg Mortenson with students in Sarhad village in remote northeastern Afghanistan in 2006. It takes 30 hours' driving time over mountain trails to reach here from Kabul. These are the first children to attend school in the region.